These beautiful simple drop earrings with round brilliant cut citrines over the ‘stud’ (2 x 6.44), and 2 x buff-top (flat top) round amethyst drops (faceted behind) are set in simple sterling silver settings. The faceting under the flat top stones is unusual with every facet meeting in the middle (culet) of the stone. The flat top of the amethyst offers a glass-like transparent purple that is quite bewitching. 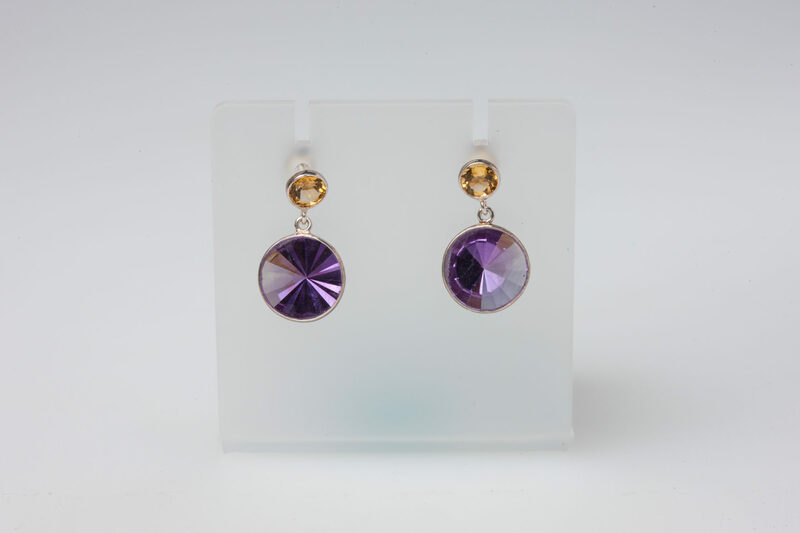 The citrine offers an exciting contrast with the amethyst.